Experts from SkinCeuticals are here to share their knowledge on retinols and provide advice on which retinol product may be best for you. Retinol is not a one-size-fits-all ingredient. It’s important to give your skin the proper concentration and apply it correctly to optimize improvement and overall results. Retinol is one of the most extensively researched and proven skin care ingredients available today. It is a derivative of vitamin A that promotes the skin’s natural exfoliation process, which in turn improves the appearance of fine lines, wrinkles, uneven skin tone, pores and skin texture. What Retinol is Best for You? 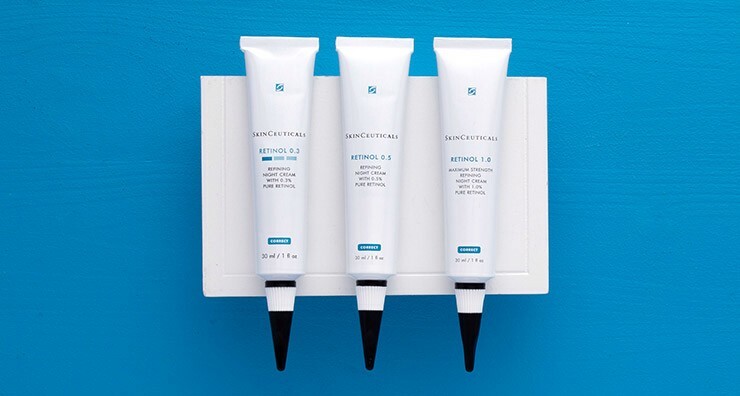 SkinCeuticals offers three retinol concentrations to address the needs of various skin types: Retinol 0.3, Retinol 0.5 and Retinol 1.0. All feature an advanced encapsulation system and a soothing complex of bisabolol and boswellia serrata extract, but the key for maximum results with minimal side effects is starting slowly. Those new to this ingredient should begin by applying Retinol 0.3 once or twice a week before increasing the frequency of use as the skin demonstrates tolerance. Retinol has been shown to provide visible improvement in signs of aging and sun damage, but some new users experience an adjustment period that may include redness or flaky skin. This means the retinol is working—and is not a reason to stop using it. 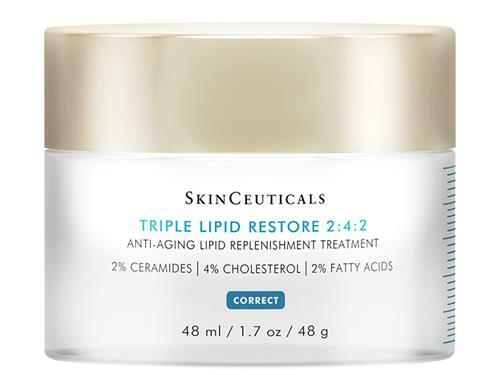 Clinical studies have shown that using SkinCeuticals Triple Lipid Restore 2:4:2 in conjunction with topical retinoids significantly reduces dryness and reduces the adjustment phase to one week. When starting retinol usage, limit initial use to once or twice a week, gradually increasing frequency to every other night, then every night as tolerated. 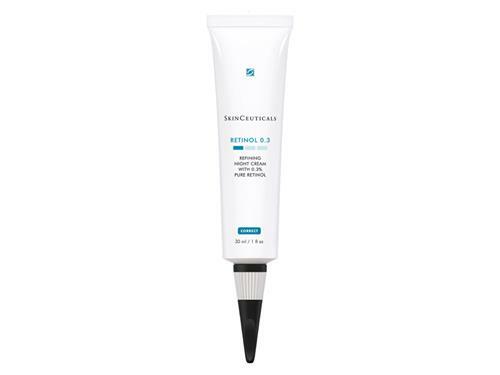 Experienced retinol users can generally tolerate a higher concentration. Once your skin is comfortable with Retinol 0.3, you might be ready to step up to Retinol 0.5. (This concentration can also be used by “first-timers” with resistant skin that rarely experiences irritation and those whose skin has shown to be less tolerant of higher retinol concentrations). 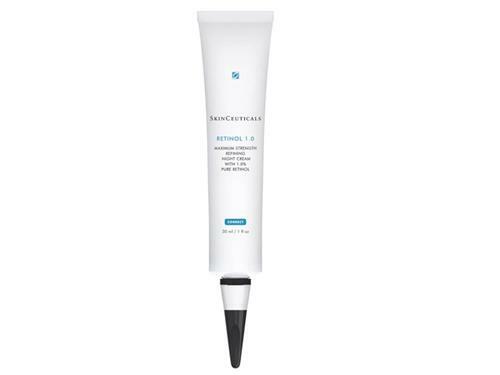 SkinCeuticals maximum strength Retinol 1.0 is best for skin that has been preconditioned with Retinol 0.5 or has a higher retinol tolerance—as well as those switching from a prescription-based retinol product. Retinol may increase photosensitivity, so daily broad-spectrum SPF sunscreen use is recommended for everyone. 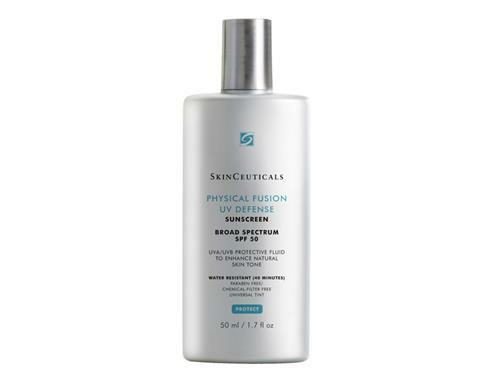 SkinCeuticals Physical Fusion UV Defense SPF 50 also enhances radiance and promotes even skin tone thanks to translucent color spheres that adapt to all complexions, so you get both instant results and improvement over time with this dynamic skin care duo.